Jazmine Marie Sullivan was born on the 9th April 1987, in Philadelphia, Pennsylvania USA, and is a singer-songwriter best known to the world for her hit single “Need U Bad”, which topped the Billboard`s Hot R&B/Hip-Hop Songs chart. Since the start of her musical career in 2007, Jazmine has released three albums, including “Fearless” (2008), and “Reality Show” (2015). 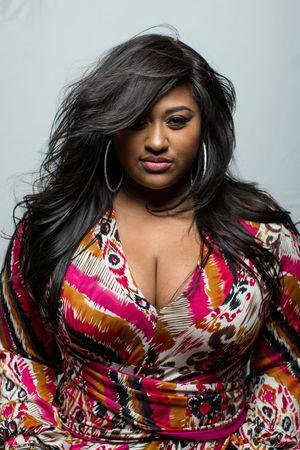 Have you ever wondered how rich Jazmine Sullivan is, as of late 2016? According to authoritative sources, it has been estimated that Jazmine`s net worth is as high as $7 million, earned through her successful career as a musician. Apart from releasing her own material, Jazmine has written songs for such R&B and Rap artists such as Tamia, Christina Milian, and Jennifer Hudson, among others, which has also improved her wealth. Jazmine grew up in a musical family – her mother Pam, was a backup singer for the Philadelphia International Records, and since the early age she was thrown into music, becoming a part of the children`s choir,singing contralto, and as she was grew up switching to an adult choir. Jazmine went to the Philadelphia High School for the Creative and Performing Arts, majoring in music, and even before graduation she signed a contract with Jive records. She was dropped from the label, but it wasn`t all bad for her, as she managed to record an album, and befriended Missy Elliot, who produced some of the tracks on Jazmine`s album. Luck smiled upon her in 2007, when she signed to J Records, and again with Missy Elliott started working on her album. Before the album was released, Jazmine scored a hit with the single “Need U Bad”, which put her on the music scene. Moving forward and working with Missy Elliott among others, Jamzine released her debut album entitled “Fearless”, which topped the US R&B Charts, while it also reached No. 6 on the US Billboard top 200. Furthermore, it achieved gold status, which only improved Jazmine`s net worth, and encouraged her to continue with her music career. The following year, Jazmine teamed up once again with Missy Elliott, and with the addition of Ne-Yo, Lamb and Ryan Leslie, worked on her second album. “Love Me Back” was released in November 2010, and although not quite as popular as her debut release, it reached No. 5 on the US R&B/Hip-Hop Albums, while it climbed to 17th place on the Billboard top 200 chart, selling more than 230,000 copies, which added further to her net worth. After that she took a break from music, and four years later returned, stating that she was working on her third album, entitled “Reality Show”. It came out on 13th January 2015, and topped the Billboard R&B Albums chart, while it also placed in top 20 on the Billboard 200, peaking at No. 12, so her net worth is still rising. Currently, Jazmine is working on her fourth album, which will be released in 2017. Thanks to her skills, Jazmine has received numerous prestigious nominations and awards, including 11 Grammy Award nominations, one BET Centric Award and two ASCAP Rhythm & Soul Music Awards, among others. Regarding her personal life, Jazmine tends to keep her life away from the public eyes, however, most recently she discovered that she was once in a abusive relationship, but didn`t state the name of her ex-boyfriend. For the time being, she is single and focused primarily on music. She is also active on popular social networks, including twitter, where she has a great number of fans.